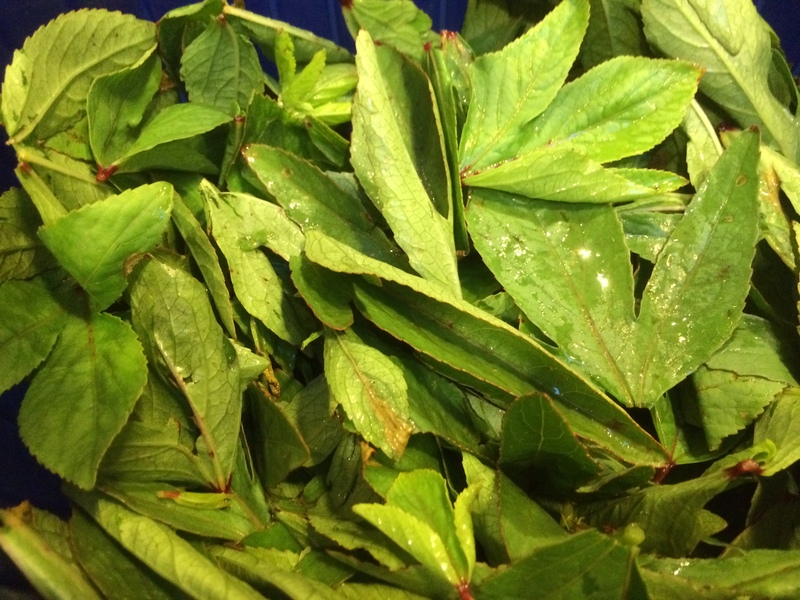 If you are at the market and someone tries to sell you what they call ‘sorrel’ leaves, stop and give them the eye. Because you see, sorrel just means ‘sour’ and it does not tell you what kind of sour leaf this is. 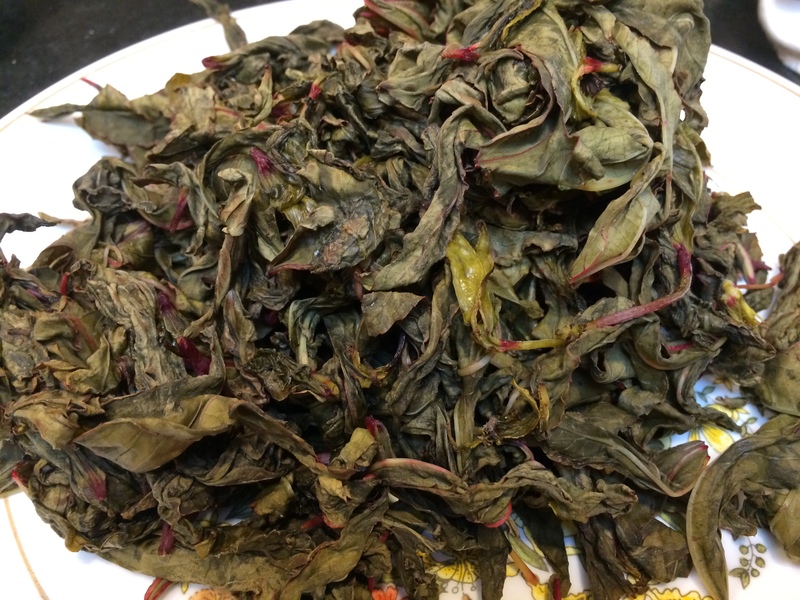 A few widely disparate plants all get called by this name, so all you know when someone tries to sell you sorrel, is that it is a plant that produces at least one edible part, and those edible parts produce so much acid that it tastes sour to us. The sorrel that I am talking about today is Hibiscus sabdariffa, with the lovely maple-shaped leaves pictured above. It is known by many other names aside from sorrel. 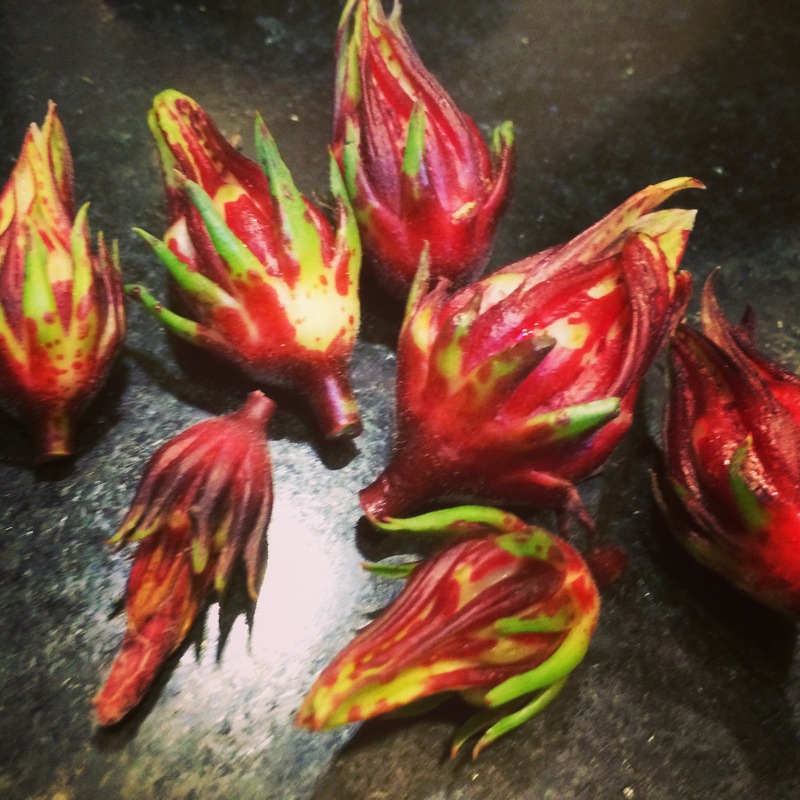 It is commonly known as roselle because of the lovely pinkish-magenta of its stems and flower buds. 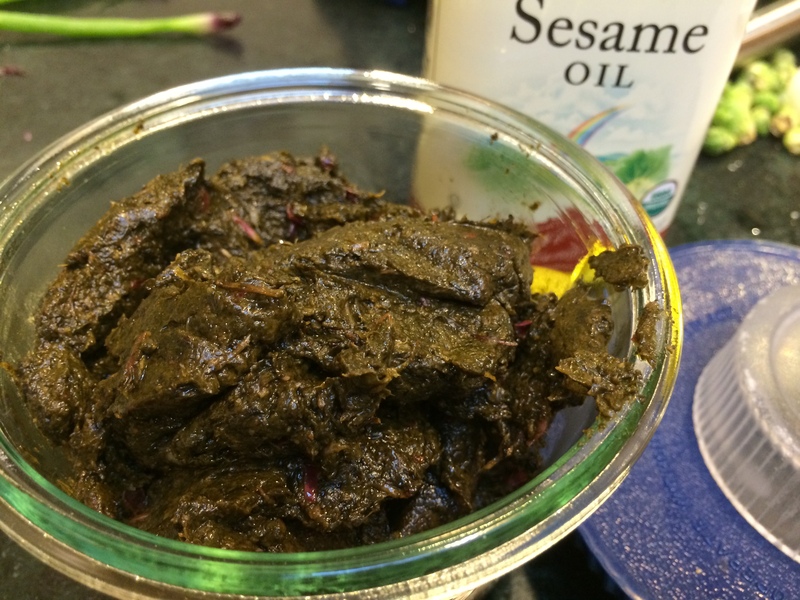 It is gongura in the state of Andhra Pradesh in India where it is a part of many beloved homey dishes. Meshta when it is grown for jute fiber in the north of India. 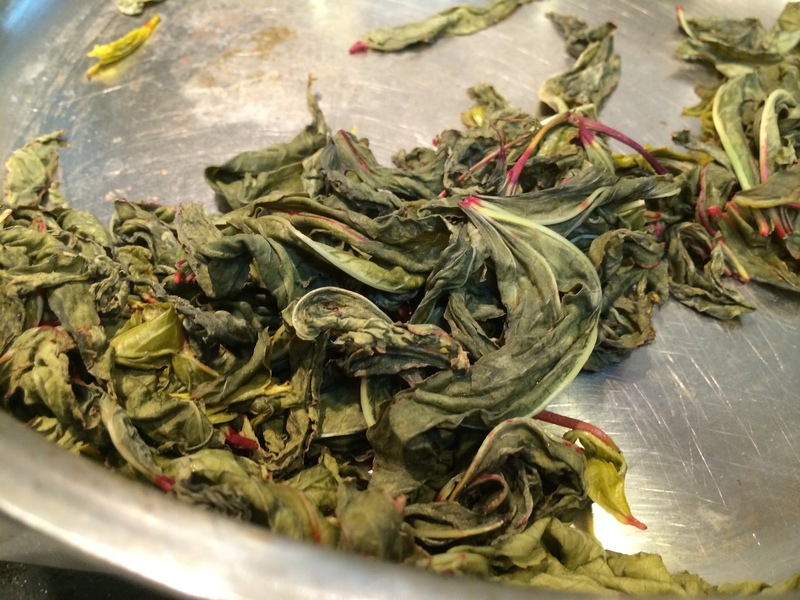 ‘The flower of Jamaica’ in Mexico where the sepals are steeped into a tea. Such herbal teas, or tisanes, are made all over the tropical world from the sepals of this plant. Hibiscus sabdariffa has gorgeous deep magenta arching sepals. The flower with its pink papery petals is even more beautiful, of course. The same magenta color is found in the edges and the veins of the leaves, making this a particularly attractive plant to grow, to look at, and to buy at the market. It decorated my kitchen for the few days that it sat on the counter after I brought it home. 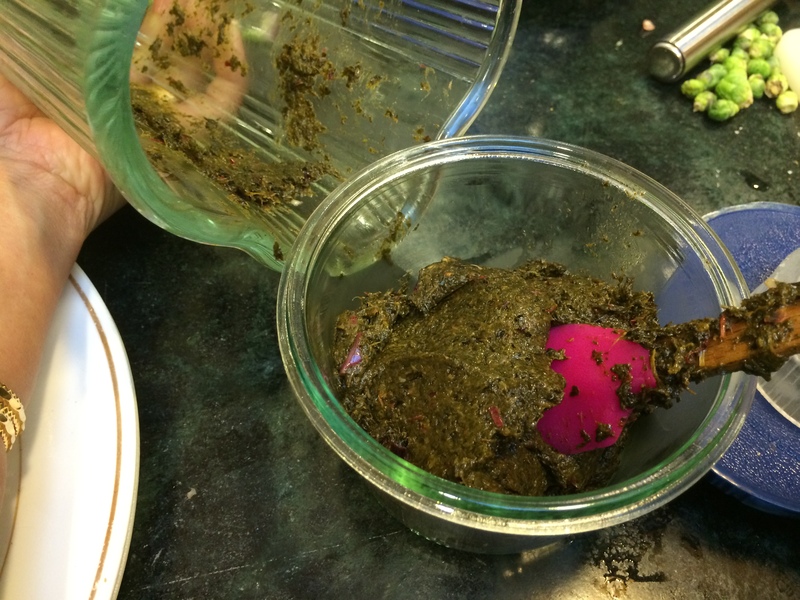 Almost seemed like a pity to mash it down into a grim-looking (but delicious!) chutney. Let me tell you a bit about this chutney. Made from the leaves, it needs no added souring agent (that would usually help preserve it) because the leaves themselves are very sour. I did not grow up in Andhra Pradesh but in that state, this chutney is almost part of the state religion and woven into daily customs. Now you might think, leaves, yes, grind them in a blender and you are done. But wait. There is a technique to it. First, you dry them completely on sheets of paper towel. Then they roast a bit, dry. Then they sauté and shrivel in a bit of oil. Then you grind it up. The point is to remove all moisture from the leaves, which will help preserve it better. The taste is wonderfully sour, a bit metallic (maybe from the iron? ), and complex. You can mix it with rice or spread it on a slice of bread, then top it with sliced vegetables, as I did. Make sure the leaves are completely dry after rinsing. You can do this by spreading them out on sheets of napkins for an hour or so. 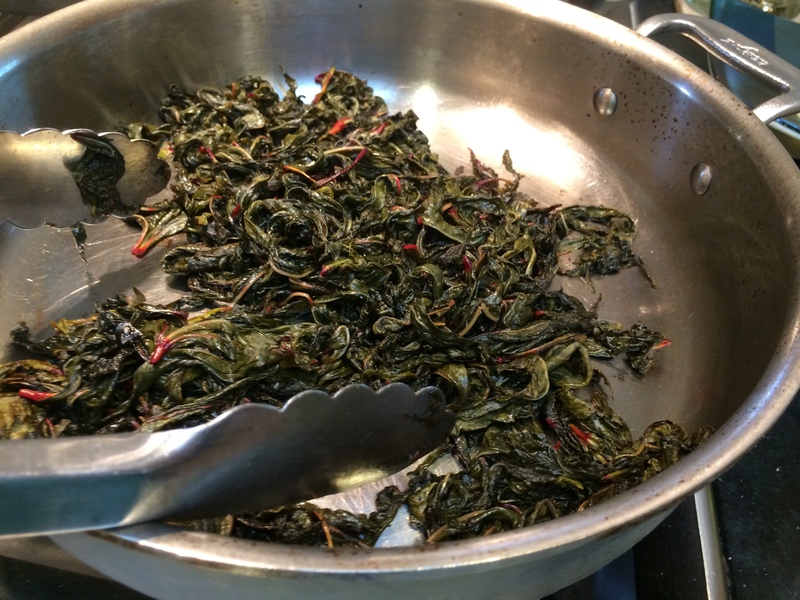 Dry-roast the plucked leaves in a flat pan in batches. You do not want them to steam, just quickly dry up and darken as they roast. Once all the leaves are dried and roasted in this manner, return them to the pan with a bit of oil to sauté. Remove them to a plate. 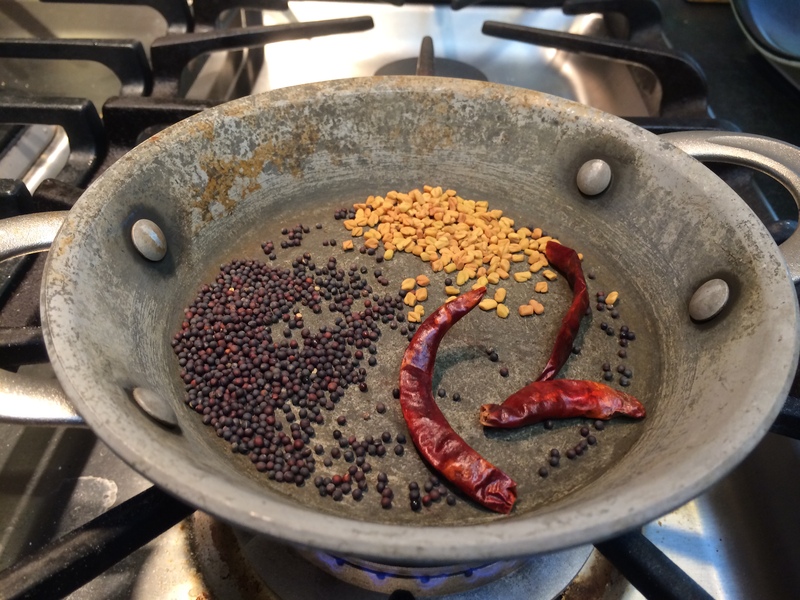 Meanwhile roast the dry spices (mustard, fenugreek, red chili) until darkened. Let them cool a few minutes then give them a whirl in the spice grinder to get a powder. Peel and roughly chop the garlic, ginger and shallot. Throw them into the blender along with the salt, the leaves, and the dry spices. The blender will probably need some liquid to make the blades go; for this, add some more of the oil, rather than allow any water to come near. 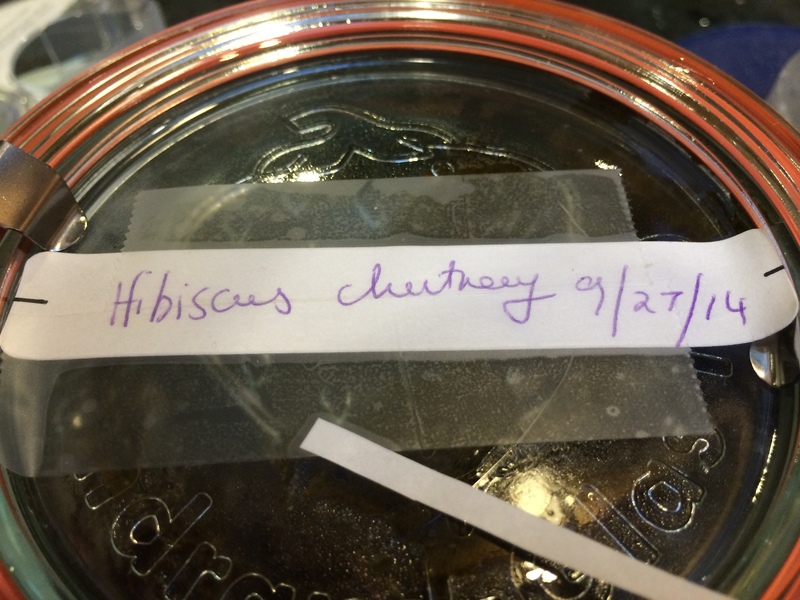 Save in a jar and label it so you don’t forget to eat it! I don’t think it can grow in San Francisco where I am, or I would try to. For one thing, it would make a lovely garden plant. Luckily farmers markets here seem to carry it for all the ethnicities that live here. Let me know how it turns out if you try it out! 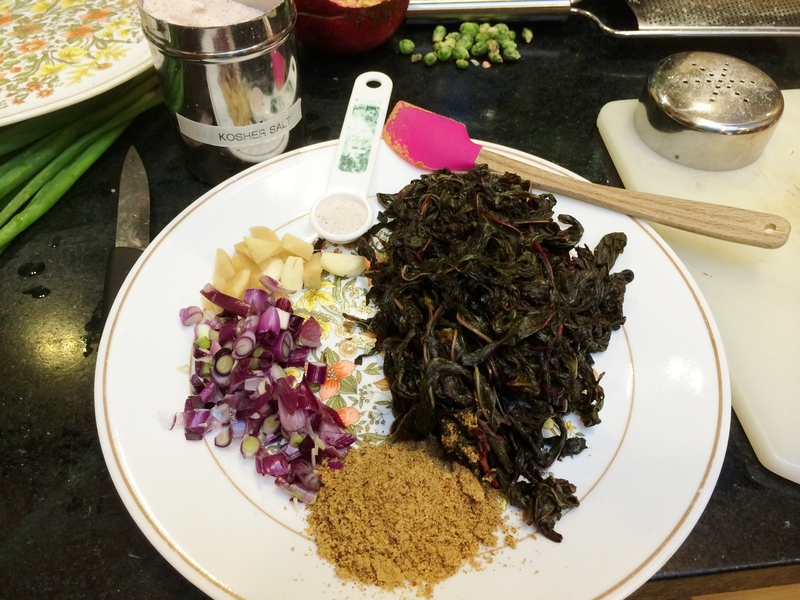 I love gongura chutney! I did not know that it is the hibiscus family, though. Thanks for sharing unique info about this plant. Yes Apsara I love it too. I had heard my south indian friends making a big fuss about it, but never tasted it until I made it. A couple tried later I finally had a good version. I am so lucky to discover these interesting plants because of our local farmers markets…you would certainly find it in India if you visit. Ah, I have this growing in my garden! When they are big enough to give me a basket-full, I’ll try the chutney! Yes, you must! Googling ‘gongura’ will give you a deluge of other ideas.